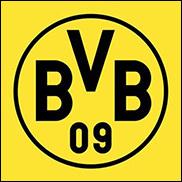 DORTMUND, Germany (CelebrityAccess) — At least one explosion damaged the bus of a prominent and injured one of the team's players as they were headed to an important European playoff match in western Germany on Tuesday, forcing a postponement of the game. According to the New York Times, the German team, Borussia Dortmund, said on Twitter that the explosion happened near the team's hotel near Dortmund about an hour before they were due to play Monaco in a Champions League quarterfinal. While initial reports did not identify the wounded player, German news reports have identified that individual as Marc Bartra, who they said was taken to the hospital with minor injuries. While no cause of the explosions has been disclosed, the team's initial description of the incident as a bombing prompted concerns about terrorism. According to the Times, there were as many as three explosions, but a local police report said the precise nature of the event was not clear. A photo of the team's bus appeared to show damage to the street near the bus and damage to the vehicle, including its tires.